When you’ve raised nearly $300,000 on IndieGogo and make claims that you’re the “world’s best ergonomic mechanical keyboard” you’re setting the bar pretty high. When you’re selling an item for $295 that most of us treat as an afterthought, that bar gets even higher. I went into this review with a healthy dose of skepticism and a feeling that somehow this keyboard would fail to live up to its hefty price tag. I came out of it with a whole new understanding of typing behavior and what makes high-end keyboards worth the price. 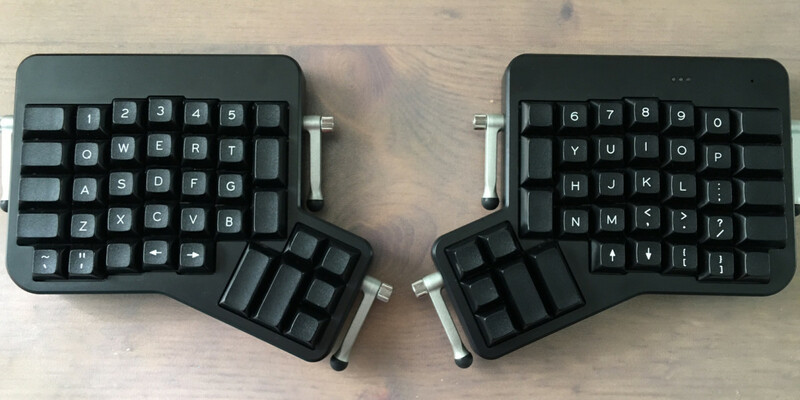 Is the ErgoDox EZ worth the asking price? Let’s find out. 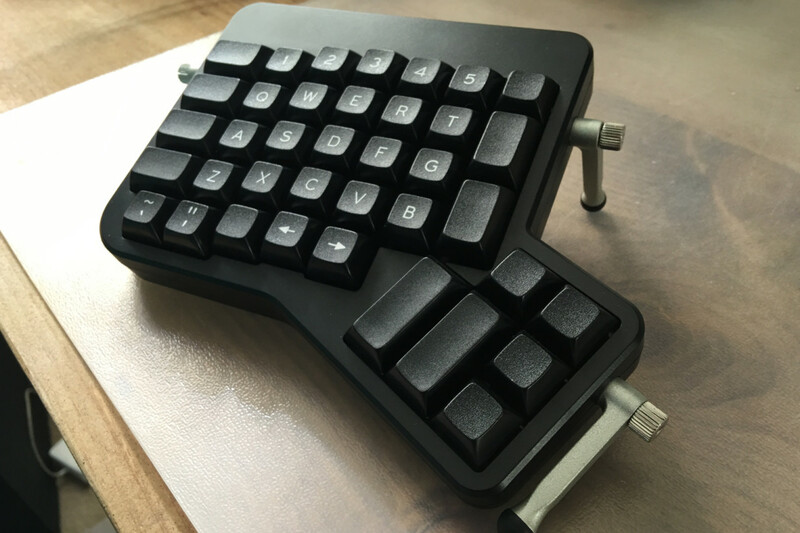 The ErgoDox keyboard is an open source design that allows anyone to build their own — if you can find a kit. Besides the obvious complication of learning to put together your own keyboard from a kit, they’re expensive (about $225 for an unassembled version), time consuming and not at all easy to find. If you don’t know how to solder, it’s probably best you just skip the kit altogether. There will be soldering… lots of it. 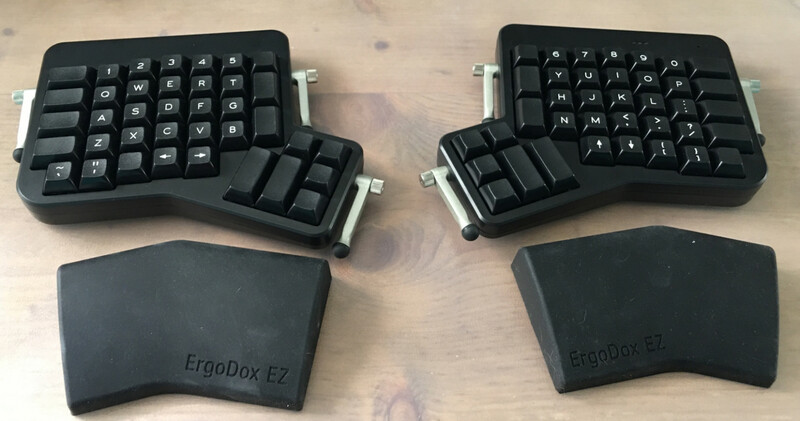 The ErgoDox EZ is built upon the open source design, but improves upon it in many ways, like the metal tilt/tent legs. Most importantly, it’s always available and comes pre-built and customizable. This relieves a lot of the pain points of finding and building it from a kit. The EZ comes in two fully adjustable pieces with four metal legs that allow you to further customize the angle for better ergonomics. 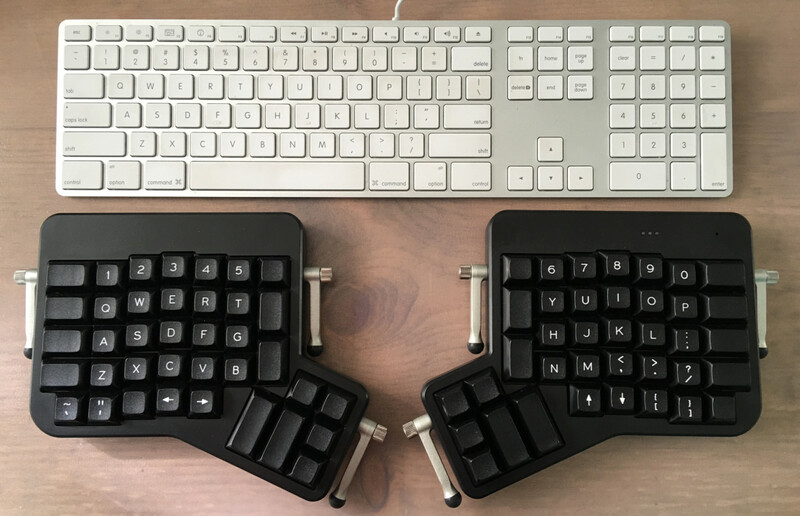 I was told by ErgoDox EZ co-founder Erez Zukerman that the best starting point is to put each piece about shoulder-width apart and to try different keyboard and wrist rest (included) positions until I found what felt right. After finding my sweet spot, it was pure typing bliss. I didn’t use the leg adjustments as it seemed perfect while flat, but between the two piece design and the legs, there are dozens of potential angles that will suit the ergonomics of just about anyone. The two pieces connect to each other with a single jumper cable and then a second USB cable connects the keyboard to your PC, or in my case a hub. My only complaint would be the length of the cables. Both are far too long for my needs, but this is minor as cables are cheap and neither are proprietary. The image above gives you the gist of it, but essentially what the EZ offers is the ability to hit a button and switch to a different keyboard layout. Hit it once and you’re at the “Coder layer” which features curly braces, square brackets and other symbols used while coding and then the other side of the keyboard has a full number pad. This layer also turns the top row of number keys into function keys. The third layer is the “Media and Mouse” layer which is basically a remapping of your keyboard designed to control your mouse cursor without ever having to lift your hands from the keyboard on one side, and your media controls on the other. WTF is a “Hyper” or “Meh” key? Two keys instantly stood out to me: hyper and meh. Obviously these aren’t standard keys to I asked Zukerman about them and he sort of blew my mind. Essentially, these keys are used to create hotkeys for any key on the keyboard. Hyper allows you to press one key while your computer interprets you pressing an impossible combination of keys: Alt + Ctrl + Shift + Cmd. Add to that any other key on your keyboard and you now have a hotkey that’s guaranteed not to be in use by an existing hotkey. Meh works the same way, but it’s Alt + Ctrl + Shift for systems (Windows) that don’t always recognize Cmd as a modifier. Speaking of keys, the other point of note is the dual function keys. For example, the Z key acts as a normal Z if you type like normal, but when you hold it the key transforms to the Ctrl key. Other keys are like this by default, such as the Alt key and the colon/semicolon key. The customization options start at the point of purchase when you decide which version, switches and keycaps you want. The premium version with legs and wrist rests (pictured) is $295. You also have the option to snag the keyboard itself for $245 or even $205 if you want to provide your own keycaps. Then we have the firmware. 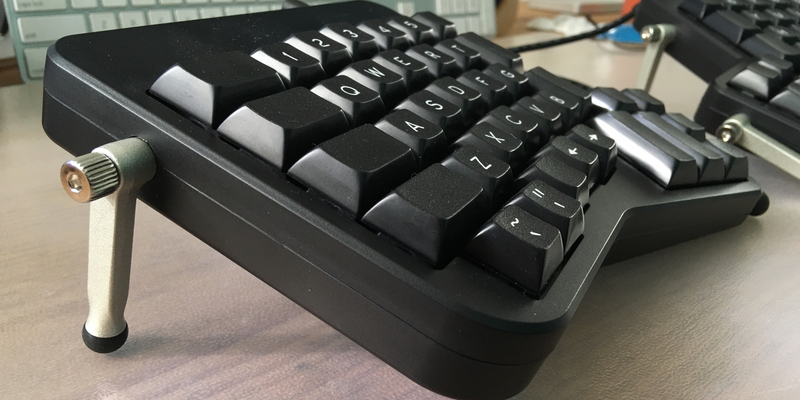 The firmware is built to accommodate both those that want to use the default layout or those that like to tinker until they find keyboard utopia. For the tinkerers, you can edit layouts through a visual configurator at Massdrop or you can use a community-created layout from GitHub. The community-created layouts are editable with a relatively easy-to-understand bit of well-documented code, or the aforementioned (but limited) visual configurator. Once you’re done, you can even re-upload your new configuration to GitHub for others to use. You can remap any of the layers (you can have up to 32 different ones) or the key layouts to your liking, including the dual function and media keys. If you’re so inclined, you can even have an entire layout for emoji as the keyboard firmware supports Unicode. Or, maybe you’d prefer to switch to a different keyboard layout altogether, like Dvorak or Colemak; you can easily remap the keyboard to accommodate either, or both (on different layers). The thing about products with higher price tags is that they often come from small businesses. And when you purchase from a small business, the owners tend to give extra attention to their work. Co-founder Erez Zukerman says he considers that a benefit to running a business like this as he gets to provide the same one-on-one treatment to just about everyone that buys his product. That’s important; as is the two year warranty. The keyboard feels about as well built as any I’ve tried, but on-going support and a warranty makes it easier to swallow the rather large expense. As for me, I’m a writer, my wrists and hands are almost always sore. The design and customization options for the ErgoDox EZ virtually eliminated this pain. Even if it did nothing else, I’d say it’s easy to justify the cost for those that struggle through similar discomfort from spending far too much time at a keyboard. That said, lumping this into the “ergonomic” keyboard category and trying to show that its worth lies with those fighting joint pain is doing it a great disservice. 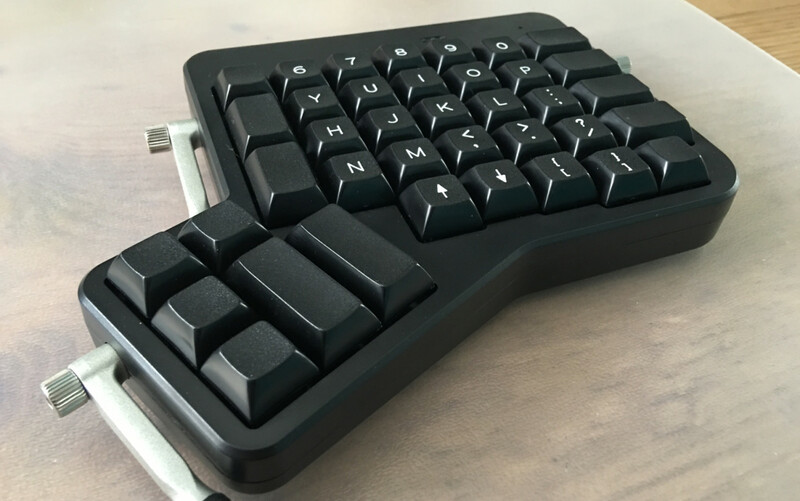 The ErgoDox EZ, in my opinion, is the most versatile keyboard on the market. It can do anything you need it to do, and if it’s not right by default, you have unlimited options to create the perfect solution for your individual needs. Overall, if you can swing the price tag, this keyboard is unlike anything you’ve ever used and easily worth it considering a solid, standard mechanical keyboard can set you back $150 or more. Once you start adding ergonomic support and unlimited customization options, the keyboard really starts to look like a value.